Doris Desktop 1.10 is now ready to download. 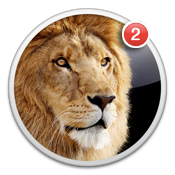 There were a number of things that changes in Lion broke, in particular old data was being cached, all fixed in this latest version. The web app is easy to use, easier to view, quicker to add and I can use it from my windows machine at work. So far I can only work on Doris Desktop part-time so progress is going slower than I’d like. The real winner with the web app is that I can use any computer or any phone,anywhere to quickly get at my lists. This goes double for my wife, who has a non apple phone and a non apple desktop, and shares lists with me. If you look at the industry, it seems we are actually moving away from desktop apps and more to the cloud / web. Please consider keeping the web app as up to date and feature rich as the desktop app. Hi again – I hear ya, thanks again for the feedback, don’t worry, the web app will continue to be maintained. Beta Testers Needed for Doris Desktop! Demian Turner on Beta Testers Needed for Doris Desktop! kin yung ku on Beta Testers Needed for Doris Desktop!